What this computer doesn’t have is part of the news! The new Malata PC-68001 Personal Computer lacks a hard-disk drive, nor does it have a CD-ROM. What it will have is an affordable price: around $300 when it arrives in the U.S. later this year. Designed for students and those looking for an affordable PC for Web browsing and e-mail, the PC-68001 is pre-installed with the Linux operating system and features an 8-inch widescreen TFT LCD screen with native 800 x 480-pixel resolution, an HDMI jack for VGA output, 1 GB of flash memory, and 256 MB of RAM. This ultra-compact PC also supports an external CD-ROM and hard-disk drive via the USB port should you absolutely need those features. The San Francisco Chronicle is reporting what a multitude of Web sites, including gaming authorities, have apparently been alerted to this afternoon: Microsoft will announce tomorrow the release of a software upgrade that will boost its high-definition video mode from 720 lines progressive scan (720p) or 1080 lines interlaced (1080i), to a full 1080 lines progressive scan (1080p), with 16:9 widescreen aspect ratio. However, sources are not in agreement as to the extent of tomorrow’s 1080p upgrade. While some are reporting they’ve been given a heads-up that the upgrade will apply only to streaming video content from Xbox Live and from connected PCs using Windows XP Media Player 11 (officially released just today), others are quite emphatically stating the release will scale up all content, including games, that are output to high-definition displays. At any rate, the enhancement will bring the upgraded console in line with the video display capability of Sony’s PlayStation 3, to be released in North America and Japan in just a few weeks. 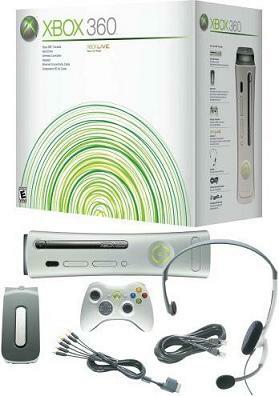 Xbox 360’s HD DVD extension console is scheduled for release at about the same time. While the first wave of HD DVD videos, which have been available for some months now, were encoded for 1080i only, more recently, studios have been switching over as HD DVD console manufacturers have been making room for 1080p-capable models for sales during the holidays. Meanwhile, the Seattle Post-Intelligencer is reporting this afternoon that Microsoft does not plan to drop its prices for Xbox 360 this season. As a result, an Xbox 360 + HD DVD combo could end up selling for exactly the same price as a Blu-ray endowed PS3. When that happens, the question in some consumers’ minds may turn to the number of titles available for both formats. Although Blu-ray was supposed to be the favorite among more studios, and the early favorite among technology analysts, continuing delays in console rollouts throughout this year have led many studios to postpone their Blu-ray title rollouts until more consoles are publicly available. So today, the relative breadth of title availability between both formats may be about even. With no apparent edge in that department either, consumers may look to the variety of game titles available for both consoles, and here customers may discover Microsoft’s one-year head-start to provide a built-in advantage. Big ol’ LCD monitors are a beautiful addition to your computer setup, and there’s nothing sweeter than replacing some giant clunker of a CRT monitor with something that takes up a fraction of the space. Unfortunately, big LCDs tend to be pretty expensive. Dell, maker of some of the finest LCD monitors in the land, has just released a nice big LCD for those of us on a budget. The E207WFP is a 20-inch screen with a solid 5ms response time, and the best part of all is the price: $289. If even that’s too rich for your blood, just tell your boss it’ll help your productivity. There was a study! Come on. Also, it’ll make World of Warcraft look really nice.